Choosing a personalised wallet case defines practicality at it's best! Never forget your cash or your cards with this case! Use your creativity to make the perfect photo. The perfect combination of a wallet and a phone case. Are you one of those friends who always forgets their wallet, but you always have your phone by your side? 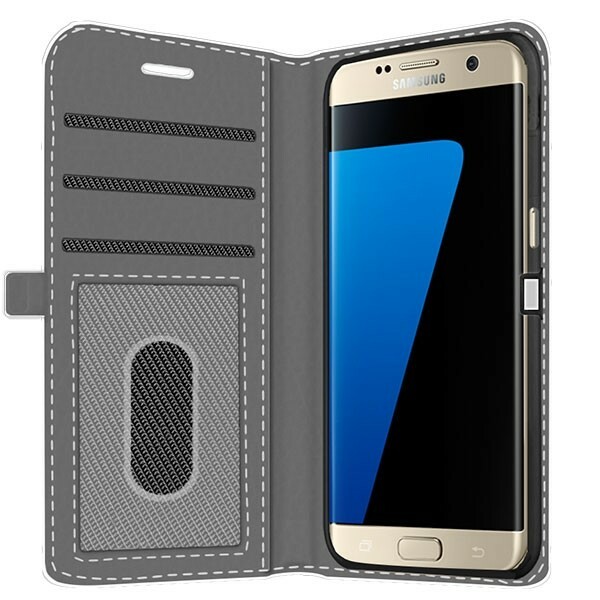 Then a Samsung Galaxy S7 Edge wallet case is perfect for you! The combination of a wallet and a phone case ensures that you only have to carry around one thing in your pocket! You not only save space, but you also don’t have to worry about carrying around a bulky wallet in your pocket or in your purse! The wallet case has three different pockets for cards and some bills. 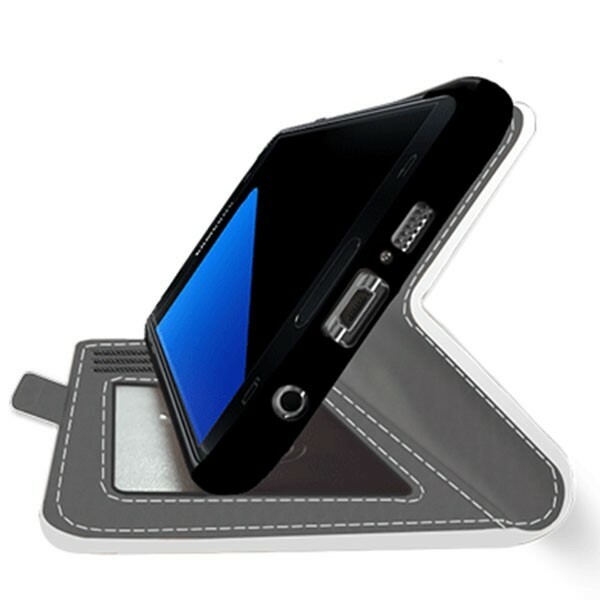 In addition to that, a magnetic flap ensures that the case is closed and your phone is protected at all times. Therefore, your most prized valuables remain out of sight, yet are all within reach! Designing a Samsung Galaxy S7 Edge case is very simple. Our user-friendly design module ensures that you can design a unique case in no time. Upload images from your PC or from your favourite social networks, such as Facebook and Instagram, directly into our customizer and begin designing! Do you have a favourite photo at a pub with friends, or perhaps at a family member’s birthday party? Simply place that photo on the case, add text, make any adjustments you want and voila, you’re done! 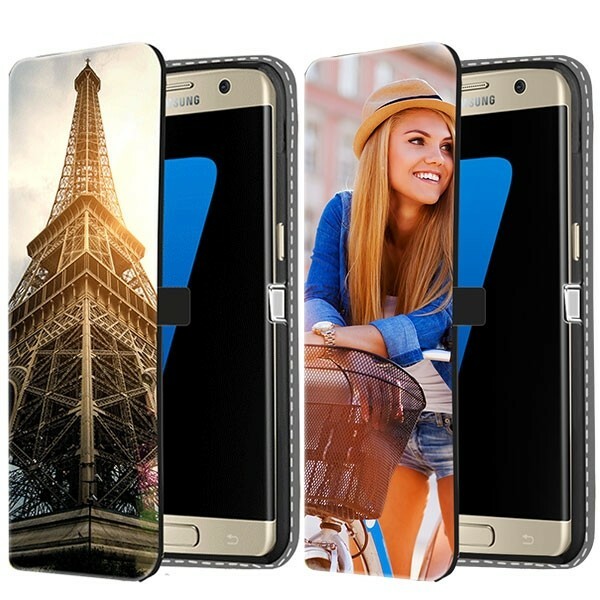 Designing a Samsung Galaxy S7 Edge case is incredibly fun to do! 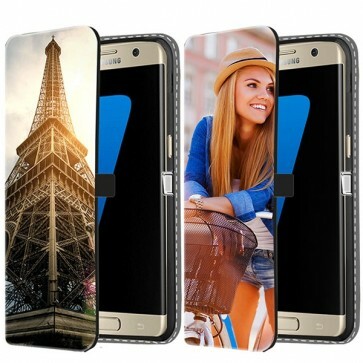 Are you looking for a gift for a friend, but they have a Samsung Galaxy S6? Well you can find those here ! Treat your friends to a round whenever you want. 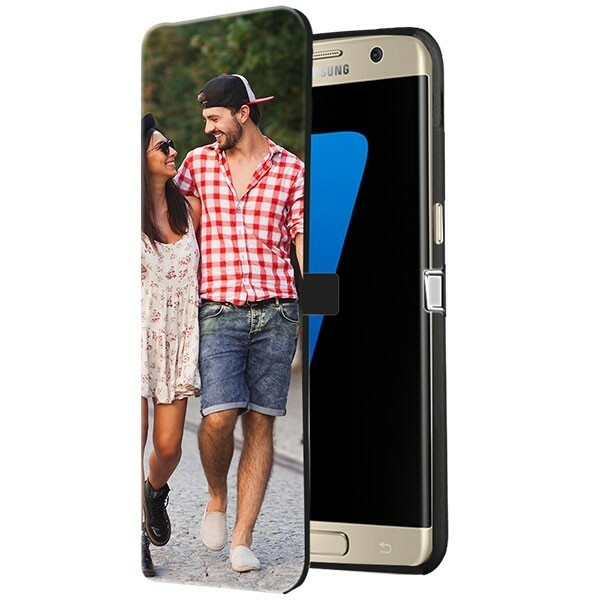 With a Samsung Galaxy S7 Edge wallet case, you are not only treating yourself to a protective and reliable phone case, but you are also treating your friends to a round whenever you want! With your unique cover, you will always have your money on hand and are no longer the friend who always forgets his or her wallet. In addition, stand out of the crowd by showing your very unique design on your case. We use high quality ink and an advanced printing method to ensure that your phone case looks sharp and beautiful. Shipping is quick and reliable!